A clear blue coloured non-aqueous solution. 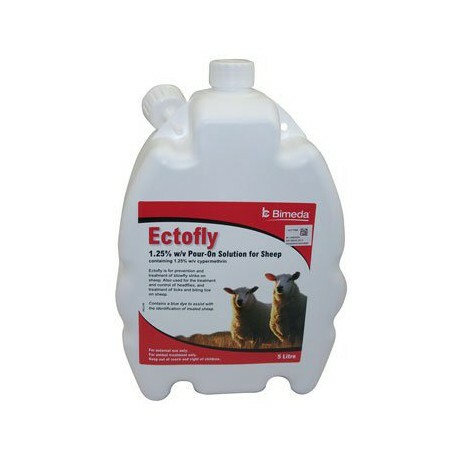 For the treatment and control of headflies and the treatment of ticks and biting lice in sheep. 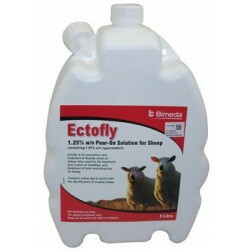 For the prevention and treatment of blowfly strike in sheep. The active ingredient is cypermethrin high CIS 80:20. Not to be used in lambs less than one week old. For the prevention of blowfly strike; do not administer to animals of less than 12.5 kg bodyweight. No restrictions. Pregnant ewes must be handled with care. *Do not administer to animals of less than 12.5 kg bodyweight. 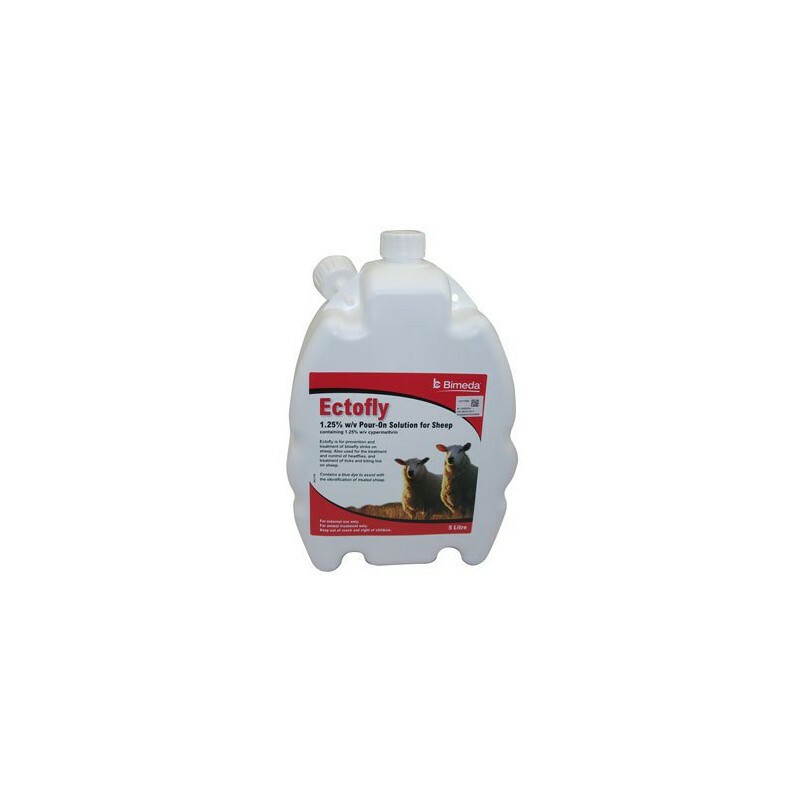 Apply as a fan-spray to the surface of the fleece on the back and hindquarters of the sheep using the Pour-On Gun fitted with the fan-spray nozzle. Half the dose should be applied to the shoulders, back and flanks, and half to the rump. The distance between the nozzle and the fleece should be approximately 20 cm. Each dose will require 2 or 3 sweeps to apply. THE PRODUCT WILL PREVENT BLOWFLY STRIKE ONLY ON AREAS COVERED BY SPRAY. One application will give 6-8 weeks protection. Re-treat as required.